Haribo sweets are the most popular brand we sell and amongst the range of Haribo sweets that we carry in stock, Haribo Giant Suckers are one of the most popular. 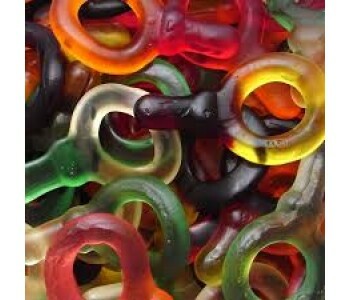 Delicious, juicy, fruity jelly pieces in the shape of a baby's Soother - Awwww, cute (and tasty too). And because they're made by Haribo, they're free from artificial additives. 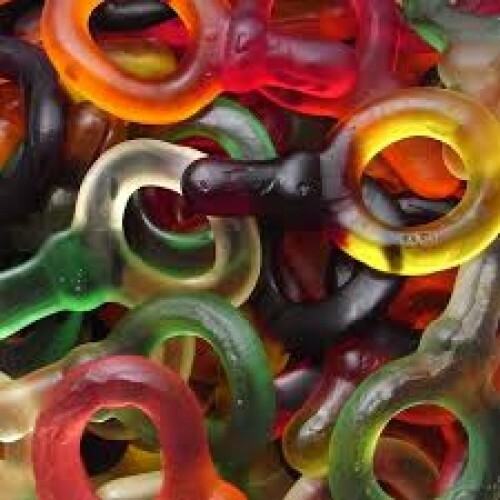 Giant Suckers from Haribo. delicious fruit flavoured jelly sweets that are free from artificial colo..